Flexible LED strip lights are used all over the world in various industrial, commercial and residential projects. LED strip lighting is popular among many Architects and Lighting Designers due to the improvements in efficiency, color options and brightness. The biggest draw is how easy they are to install. 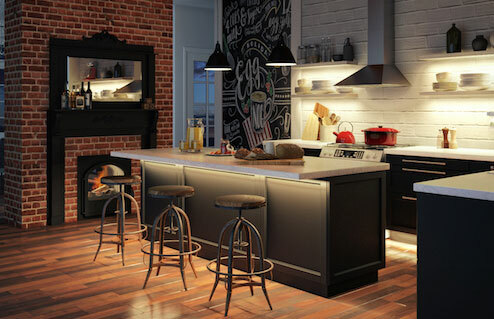 Their flexibility, low-profile and helpful accessories make them the most popular LED strip for the at home DIY types. With these LED strips, a homeowner can design like a professional with the right supplies and just an hour or two. There are many options for LED strip lights with no simple ‘one size fits all’ standard to go by. 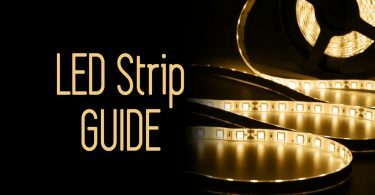 This LED Strip Resource Guide will educate newcomers and experts alike on finding the best LED strip lights for the job and how to use them while overcoming common installation hold-ups. 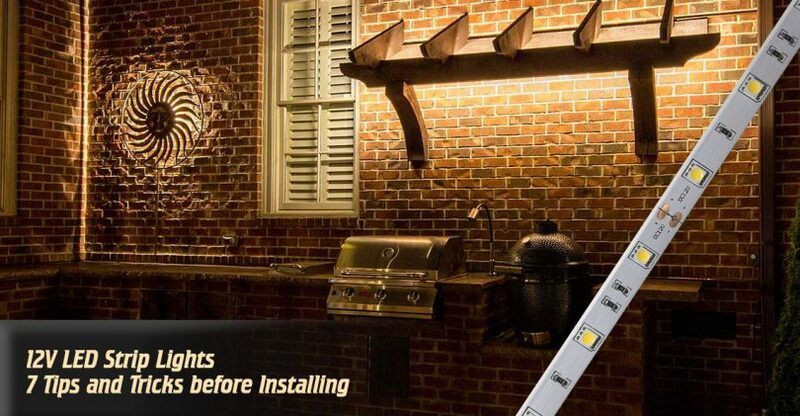 This Guide will educate newcomers and experts alike on finding the best LED strip lights for the job and how to use them while overcoming common installation hold-ups. LED Light Strips: What Makes them so Special? 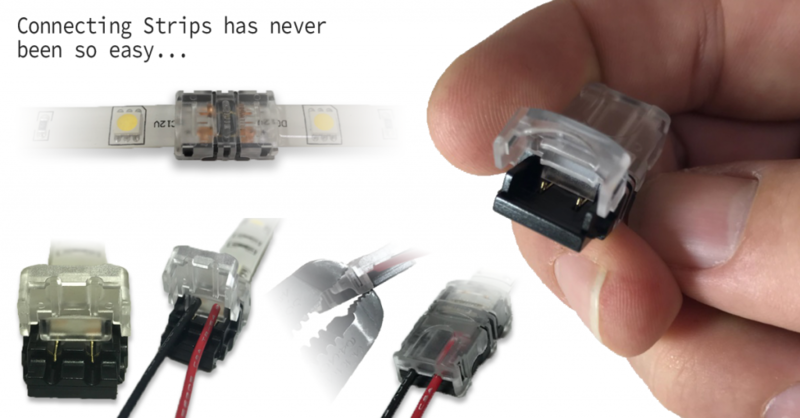 Cut-to-size – Cutting LED strips is very simple thanks to the cut lines along the strips. At each cut point there is a black line with copper solder pads that sit on each side. The copper solder pads make it so each strip piece is addressable even after being cut. 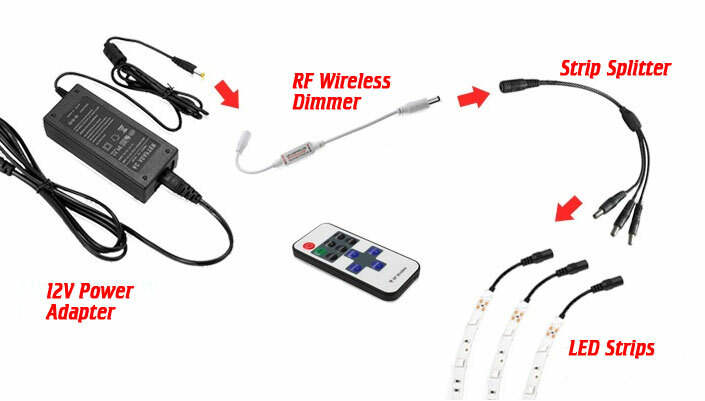 This makes it possible to connect LED strips together or connect the strip in a different area of your home. 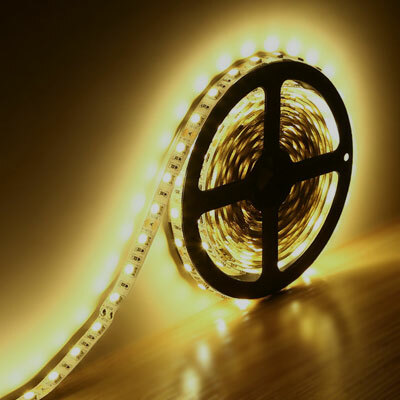 Flexible LED strip with Adhesive – The LED strips have a 3M adhesive backing for simple mounting options. The low profile, flexible strip has a peel-off backing which exposes the 3M adhesive, making for a simple peel-and-stick install. Waterproof or Non-Waterproof – LED strip lights are not limited to indoor projects. The waterproof LED strip lights are IP65 rated with a silicone resin material that protects the strip components from dust and moisture. The waterproof LED lights are a little more expensive but are a must for any project that is outdoors or close to water. 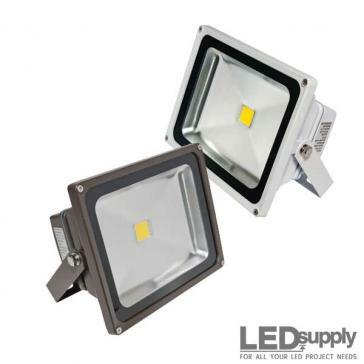 12 volt LED lights – The LED strip lights need 12VDC power input to run. This will require an AC/DC transformer for in home use, but makes wiring the strips through the house a lot safer. 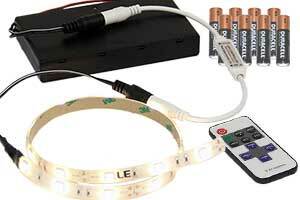 Batteries also output DC power, so it is easy to make a battery powered LED light with these flex strips. LED flex strips are great for all kinds of projects, but sometimes it is hard to know where to start. Follow this 7 step guide if you are stuck not knowing where to begin. The guide shows the various LED Strip options and and what to plan for in order to make your do-it-at-home LED strip lighting a complete success! The density of an LED light strip means how many LEDs are in a set area. For LED flex strips, density is measured in ‘LEDs per Meter’. The Standard Density strip has 30 LEDs/M whereas the High-Density has 60 LEDs/M. 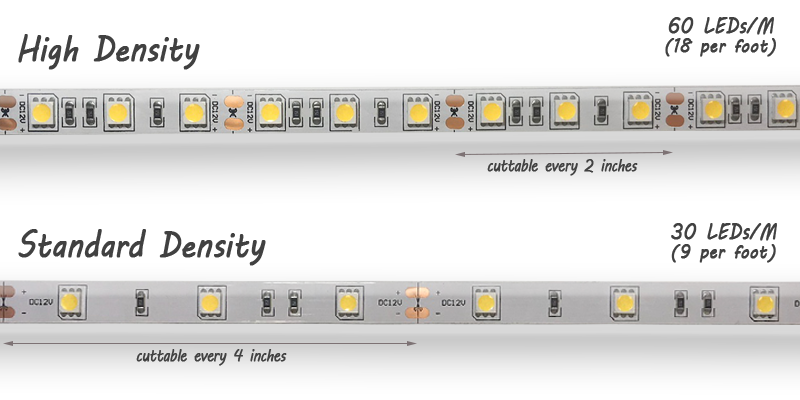 A higher density strip equates to a higher quality, brighter light. The table below shows the differences between the standard and high density strips. Take note of the Lumen outputs as well as the differences in cut lengths and the max run length for each. Stand. (SD) 30/Meter 540/Meter 27 Watts Every 4″ 32.8 Ft.
High (HD) 60/Meter 1080/M 40 Watts Every 2″ 16.4 Ft.
A Lumen is the measurement of brightness as perceived by the human eye. Thanks to incandescent lighting, most of us use watts to measure the brightness of a light. 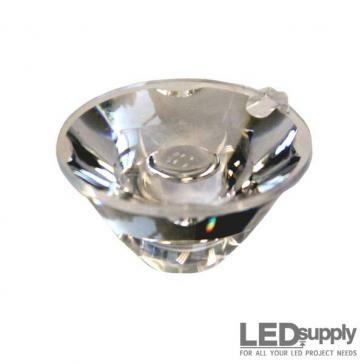 With LEDs, Lumens are the new standard to describe light output. Lumen output is one of the most important parts of choosing LED strip lights as it will determine the type of light you will receive. Make sure to note how Lumens are tracked when comparing LED strips brightness . In the above table, strips are labeled as Lumens per Meter. In order to find total Lumen output just find how many Meters you will be running. Lumen output is one of the most important parts of choosing LED strip lights as it will determine the type of light you will receive. Accent or Mood Lighting – 100-300 Lumens/ft. Under Cabinet Lighting – 175-360 Lumens/ft. Task lighting w/ higher distance from source – 300-450 Lumens/ft. Bedroom, Cove Lighting – 180-500 Lumens/ft. LED strip color depends on personal preference. RGB LED strips are a good option for those that like some variety and color effects. RGB strip lights are color changing strips that are great for accent lighting all around the home. They use red, green and blue diodes so that they can be mixed to create many different colors. If you are using RGB strips just make sure you use a 3 channel controller from the dimming section of this guide. 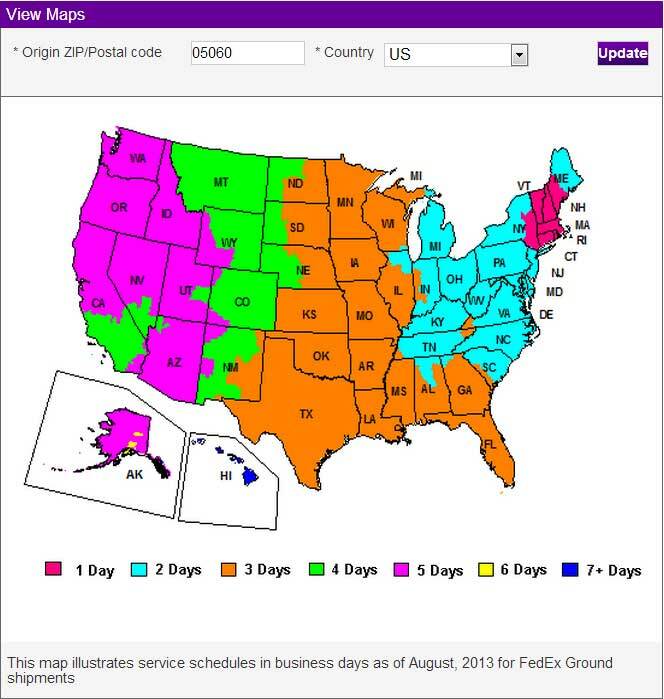 There is an Ultra Violet (UV) version of the strips available. 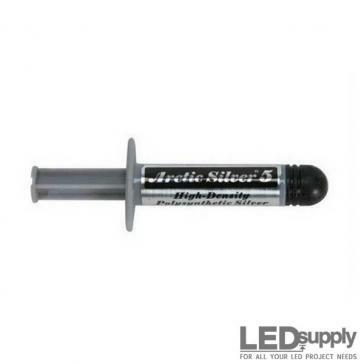 This is a great option for UV applications or for making your own black light! The strips are also available in single colors of: Red, Green, Blue, Yellow and White (3000-6500K CCT). CCT stands for Correlated Color Temperature which is the color temperature of light, measured in degrees Kelvin (K). The temperature rating of an LED strip directly affects what the light looks like. Look at the photos below for reference. Warm White is what we call 3000K which gives off an orange or yellowish appearance. As we increase degrees Kelvin the color changes from yellow to off white to natural white and then to bluish white which is known as Cool White. So which color do I choose? Look at the below room with Warm White, Neutral White and Cool White Strips. 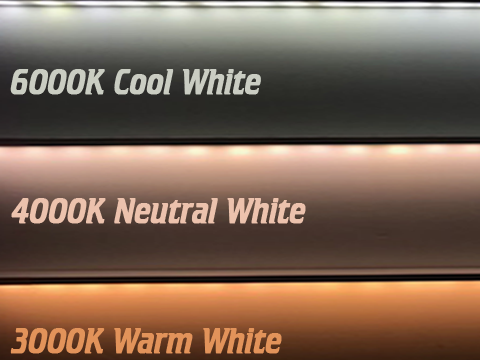 Notice how color temperature of a strip light affects the look of the entire room? This totally depends on personal preference and the overall style and feel you want the room to give off. Warm White creates an inviting, cozy area. It is generally used in rooms where everyone gathers to visit or relax (living rooms, bedrooms, dining rooms, etc.). Neutral or Natural White creates a natural, daylight effect. This is the best selling strip as it mimics natural light and is comfortably used anywhere in the home. 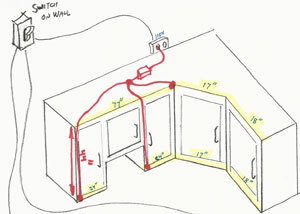 This is our most popular strip for under cabinet LED lighting. Cool White complements contemporary and modern styles, casting a bright, fresh glow. Cool white is great for task lighting as it is a brighter, more focused light. The bright, cool colors are used the most in bathrooms, kitchens and work spaces. It is best to outline your whole project to see how many feet of strip you will be using total. This gives you an idea of what to buy and the cost to do so. 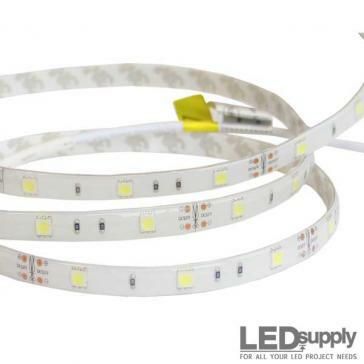 The LED strip lights are available in 3ft. increments all the way up to a full reel (16.4 ft.). It is important to find out if you want to purchase reel lengths and cut them down to size, or if it would be beneficial to have smaller lengths already cut for you. At this stage, draw out your project. Plan where the strip lights are needed, how they will be connected, and if they will all come back to the same power supply or have separate power supplies. This step helps greatly as you progress through the next few steps. What type of power do the LED strips need? The LED strips always need 12 volt DC input. That is the easy part, the next step is finding the wattage. With the below chart, this should not be too terrible if you have already chosen your strip density and your total length. If you are running more than one power supply just note the length of strip that will be running off each to find the power supply size you will need. Plug-in Adapter – Plug straight into your wall to power your LED strip lights. Hardwire Power Supplies – Directly wire in between your line voltage wiring and your LED Strips. Dimmable Power Supply – Want to dim from a common residential dimmer like a Lutron or Leviton? This is the power option for you! Batteries – Find a 12V battery pack or use an 8 cell battery holder. This is where the sketch from before will come in handy to start considering where you will be running all the strips. Was the plan to run all the strips together in a long run? If your total length needed is over the maximum run length of the strip (32.8 ft. for SD and 16.4 ft. for HD) then you will need to run parallel wires from your power source to the separate strips. As our sketch shows, sometimes you will want to power strips coming from different directions into one common power supply. In this instance you will already be running parallel wires. Wiring LED strips when you are dealing with multiple reels of strips can be tough but we have a powering and wiring guide that you can follow to map out your LED strip light setup. Connecting LED strips will be necessary for any strip project. We have some helpful accessories and guides to complete any LED strip connection. Soldering wire and your own connections? Make sure to follow our soldering guide and our recommended wire for the strips is found here. How to Connect LED Strips without soldering? Our EZ Click Strip Connectors work great for connecting strips end to end, running gaps in between LED strips or running around tight corners. 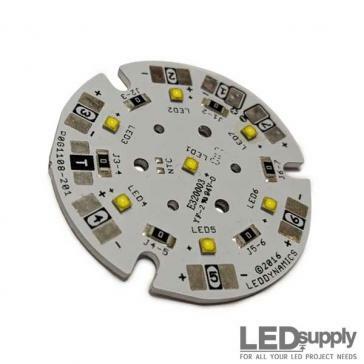 Our full LED strip connector guide shows how to use these to make connections that will come in handy for any strip project. How to connect multiple LED strips to one power source? LED strip splitters make it possible to plug multiple strips into one power supply with ease! Strip splitters are available with 2, 3 or 4 output channels. 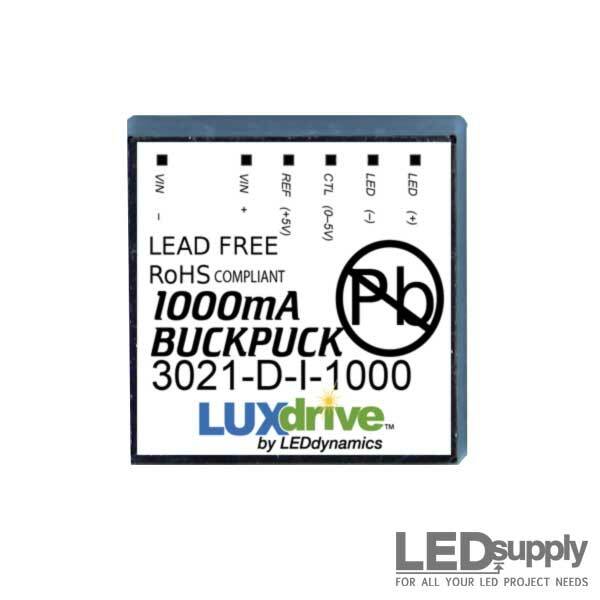 LED strip lights are typically dimmed with in-line pulse width modulation dimmers. These dimmers go on the 12 volt side of the system and wire in between the strips like shown. 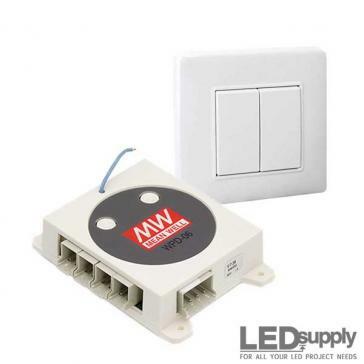 PWM dimmers are popular as they can work with any transformer or battery source, they do not need a power supply that is listed as dimmable. PWM dimming offers smooth control from the dimmest to brightest settings. PWM LED Strip controllers are affordable and easy to set up, making them the top option for dimming LED strip lights. Some homeowners already have a central dimming system for their areas. In these cases, the owner wants to control the lights with the AC dimmers they already have in place. If you want to use an AC dimmer like this then you will need a dimmable power supply as described here. 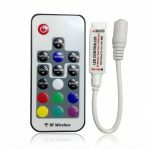 RGB Strip Controllers – If you have a color changing RGB LED strip then you NEED a 3-channel RGB controller. These controllers control the Red, Green and Blue channels to mix colors and create the color changing effects of the strip. Without this unit, your RGB LED strips will not operate correctly so always remember to purchase one if you are using the Multicolor LED strips. Extra Adhesive Tape – 3M tape that you put on the surface before the strip to double the bond. Mounting track is another great option for those that want a professional finish. 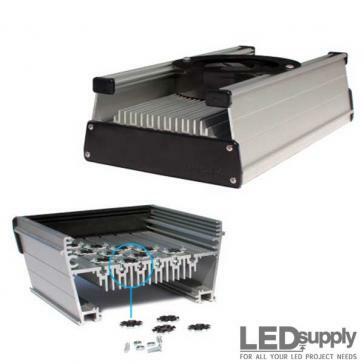 These aluminum extrusions house your light strips and have everything you need to mount. The LED strips adhere to the bottom of the track with a UV protected lens that slides over the top to diffuse the light. Follow this guide to mount your LED strips properly! This is a lot of information for sure. If you are brand new to LED strips than your head is likely swirling with information and you are left with more questions. If this is the case ask yourself these simple starting questions which should help you work through the above guide to find the best LED strip lights and parts for you! What will you be lighting? 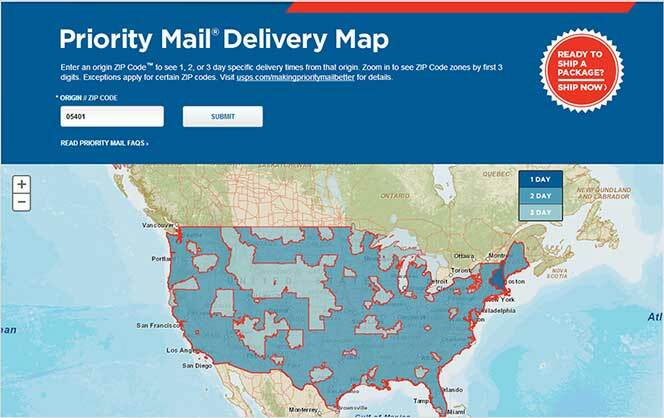 Where will they be installed? What overall look do you want to achieve? What materials am I lighting? 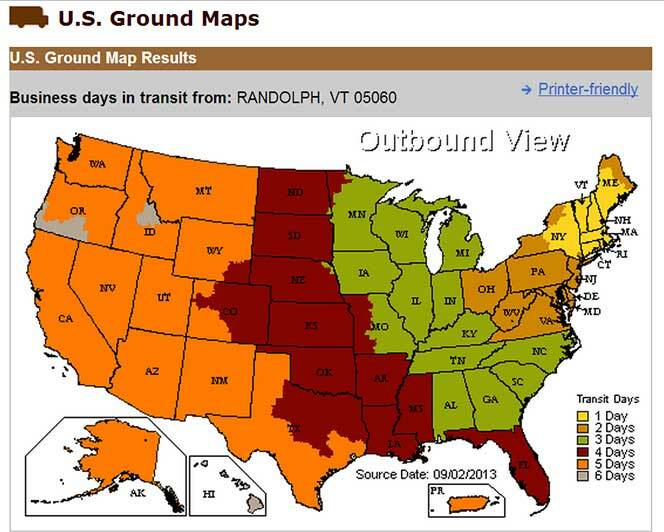 What other lights are in the area and what color are they? 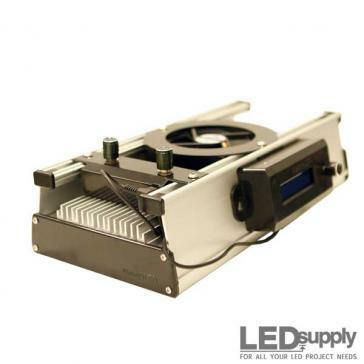 Shop our 12V LED Flex Strips! 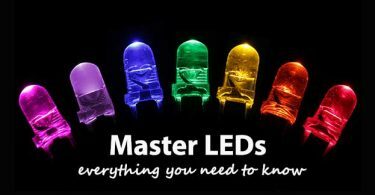 Everything about LEDs: Learn the basics of LED lighting and how to power!